If you suspect roof damage after a major, or minor, storm, your first inclination is to call your homeowners insurance. But what happens if the insurance adjuster sent to inspect your roof claims there is nothing wrong? The potential problems even subtle damage to your roof can cause is worth getting a second opinion. Call in a quality roofing company to have a professional roofer take a look at your concerns. The peace of mind is well worth the extra step. Because the truth is assessors sent out by an insurance agency are more likely to lean to the companies advantage rather than the homeowner. Also, the adjuster may not be familiar with the material or architectural design of your home. An emergency roof repair is not always necessary, but even subtle damage can wreck havoc in time. 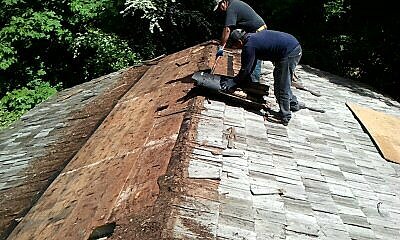 Shingle damage of any kind creates the opportunity for slow leaks which can lead to home damage, wood rot, and dangerous mold problems. While a roof replacement may not be necessary, re roofing, or an emergency roof repair could be in order to save yourself the trouble and headaches of problems down the road. A roofing contractor can give the proper inspections and provide your homeowners insurance company the evidence it needs to make an informed decision. You may be convinced to have your roof inspected now, but if you are wondering who to call, look no further than local Shelton Roofing serving Palo Alto, Menlo Park and Sunnyvale in California. The combined years of experience and skilled workmanship will let you breathe easy again. Whether your original roof is constructed from composition, wood shingles, tile, shakes, tar and gravel or synthetics, a roofing specialist can give you an accurate assessment and deliver quality results. Aside from backing up claims with hard facts, a quality roofing company can also help you determine what your home needs to maintain your investment. This may include weather-proofing services. Roof flashing gives proper support to maintain the integrity of your structure and extends the lifespan of the roofing materials. Another important consideration is to have your gutters inspected. Water-induced leaks can start small and lead to major damage if pooling is not addressed. Well-designed and properly installed gutters are a life saver for your property. Regular check-ups are key to keeping your home in ship-shape.